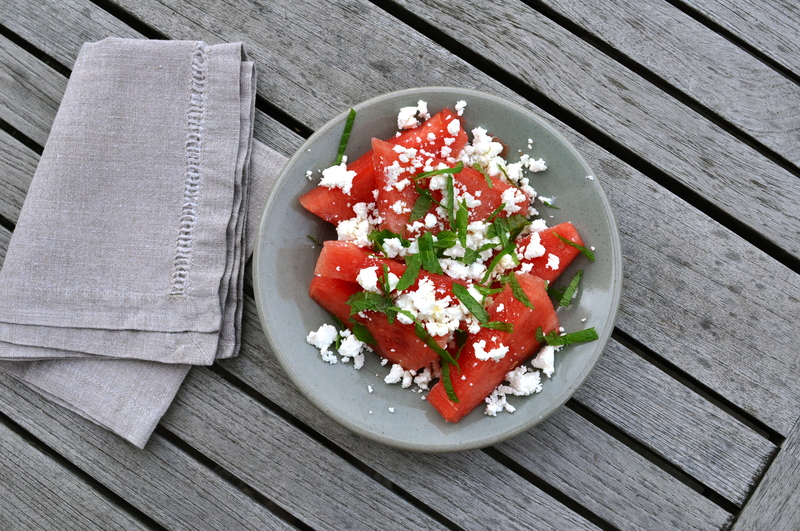 This entry was posted on 11 September 2012 at 09:53 and is filed under Aperitif / Tapas, Easy, Salad, Summer, Summer salad. You can follow any responses to this entry through the RSS 2.0 feed. You can skip to the end and leave a response. Pinging is currently not allowed. I’ve never been a big fan of watermelon, finding it rather boring I’m sorry to say. 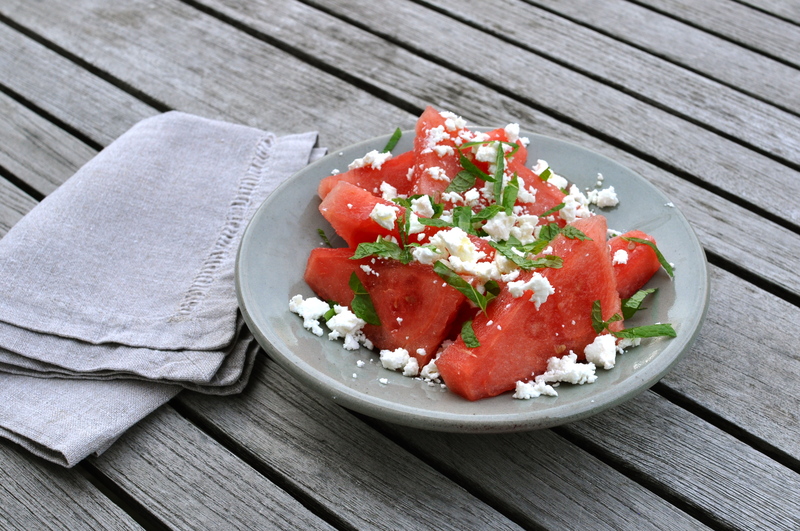 This dish with the salty tang of feta and the sweetness of mint might just turn me around. It takes watermelon to a whole other level, Steve, I can barely imagine it any other way now. You must give it a try!